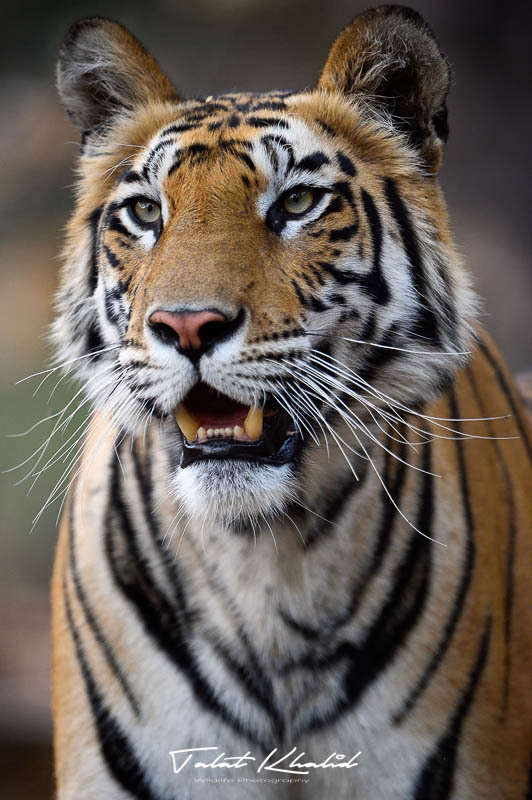 Tiger close shot in bandhavgarh. Photographed using nikon d4s+600mm+handheld. A handsome portrait. A little more room for the tiger in the frame would be nice. Beautiful animal. Very pleasing portrait. Right in your face and gorgeous- the open mouth adds a nice detail, and the whiskers really stand out. Lovely! Tremendous detail and great head posture. Those eyes show a high level of concentration. Great job. Beautiful closeup of this healthy looking tiger. How did you get so close? Superb, intimate portrait of this magnificent subject, Talat! Exquisite detail which really shows when you click and see the uncompressed view. A beauty!